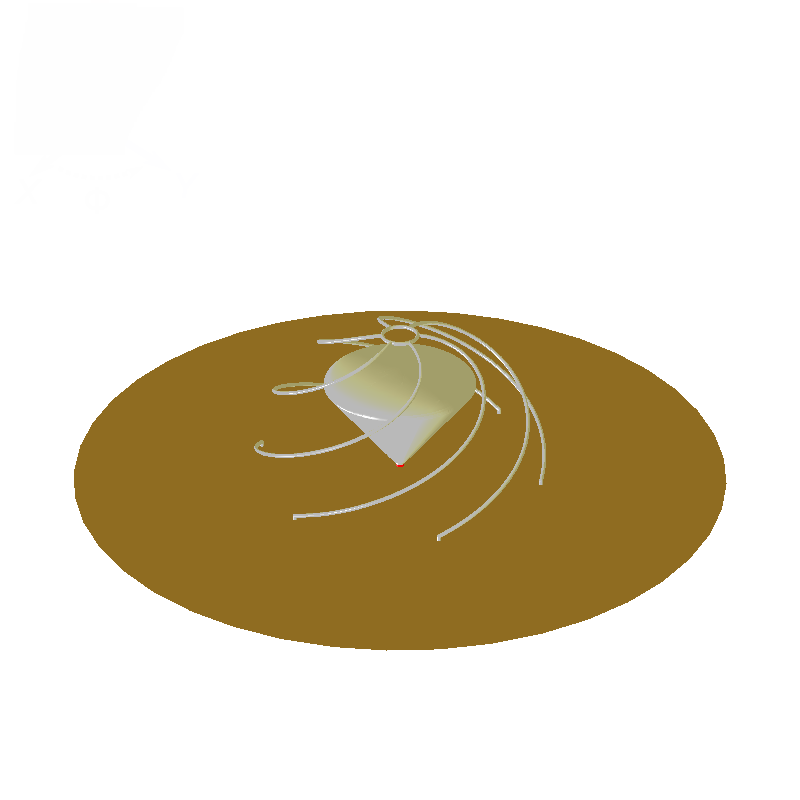 Image of the Folded Spherical Helix Monopole with Cone (FSHM with Cone). Antenna Magus includes a large selection of antennas that can be used as base-stations in a WPAN system or integrated in devices that will form part of a WBAN network. In the latter case particularly, the most compact antenna possible is often desirable. The Folded Spherical Helix Monopole with cone (FSHM with cone) is related to the FSHM, which is already included in Antenna Magus. It sees the addition of a monocone at the centre of the spherical helix structure and instead of feeding the antenna at one of the helix legs – as is the case with the FSHM - the antenna is fed at the bottom of the monocone. These changes transform the original FSHM - which is a narrowband self-resonant structure - into an ultra-wideband antenna with an impedance bandwidth > 6:1. Though larger than the narrowband FSHM, the FSHM with cone remains a compact and stable structure. For a 7-arm FSHM with cone the input impedance is close to 50 Ω, but this can be adjusted by varying the number of helical arms and the number of turns. At the lower end of the band the radiation pattern is similar in form to that of a standard dipole antenna. At higher frequencies the maximum gain increases and the isometric-in-a-plane radiation pattern starts squinting upward away from the ground plane.